This page is intended to clarify some questions that you could have about CC, about some rumors about her, but also to give details on the characters that are subtly hidden in the anime and in the manga. 1. Why "Candy Candy" instead of "Candy" only? 4. 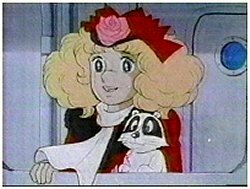 Is there an Italian sequel to Candy Candy? 5. Do you know that in the French version of the anime, Anthony dies then comes back to life for ending in an hospital? 6. 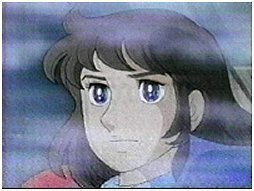 Are there any vidoes of Candy Candy? 7.Will there be a sequel to Candy Candy? 9. Where can I get the manga of Candy Candy? 11. Did Stair really die at war? 12. Are Anthony and the Prince of the hill the same person? 18. Did merchandising influence Terry's removal after Saint-Paul's Academy? Why "Candy Candy" instead of "Candy" only? I've always wondered what Candy Candy's characters would look like if they were real. The answer to this question is given through an article published in June 1977, in the Japanese magazine Nakayoshi... In this article, the author, Kyoko Mizuki, gave a physical description of the main characters, Candy and Terry. In the anime, Candy is found on a snowy day while it happens in spring in the manga. They were both 14 years old when they met on the boat, on a new year's eve, just before Terry celebrates his fifteenth birthday! Candy is 12 years old, and goes to the Leagan's (Niel, Eliza, and their parents), where she will become later their maid. Candy is 13 and is adopted by the Andrew family. Candy is 15 and leaves Saint Paul Academy to join Terry in America. Is there an Italian sequel to Candy Candy ? 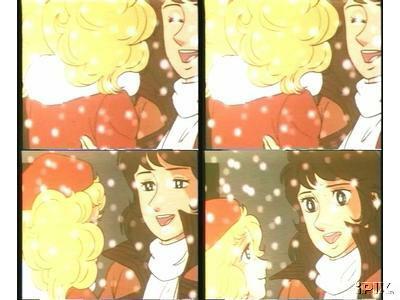 In Italy, like in most countries, Candy Candy airing was a HUGE success. When the serie ended, the Italian tv channel that aired it, received so many claims from the fans who totally disagreed the ending, that they decided when they aired the serie for the second time, to add some images at the end. Thus, the tv channel took some images of Candy's dreams in relation with Terry (those in which Candy imagines herself taking the train to join Terry in NY...), and they added them at the end of the last episode. Thereby, they created a new ending from old images of the serie. The fans thought it was a new ending in which Candy and Terry met again... sob! Did you know that in the French version of the anime, Anthony dies, then comes back to life for ending in an hospital ? Are there any vidéos or DVD of Candy Candy ? Go to candyterry.com devoted page to CC videos ! Will there be a sequel to Candy Candy? There is one! It's called "Candy Candy, Final Story"! Where can I get CC mangas? Did Stair really die at war? Are the Prince of the hill and Anthony the same person? When Candy meets the Prince, she is only six years old... This meeting with her Prince will change everything. This will encourage her to go and live at the Leagan's, when noticing the same coat of arms on the car of their servant coming to Pony's home in search of a "lady companion". The anime encourages us in this confusion because when Candy meets the prince, she is not six but twelve years old, and then, she immediatley goes at the Leagan's. This is why those who knew the anime at first (like I did), got very confused by Albert's real identity. Who knows, you might get an answer!... 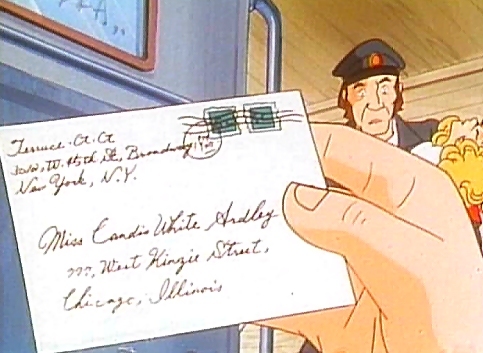 ^__^ This address appears in one of the first episodes, in which this latter is desperately waiting for news from Annie who has been recently adopted by the Brighton. Did merchandising influence Terry's removal after Saint Paul Academy?